And so it ends… for now, at least. Batman Beyond #16 closes up the ongoing story of Tim Drake as the futuristic Batman, a hero usually portrayed by Terry McGinnis. All the major players are here and ready for the epic conclusion, the stage has been set up to this point, and everything is poised on the edge of excitement...! Whether the promised excitement is delivered on is debatable. 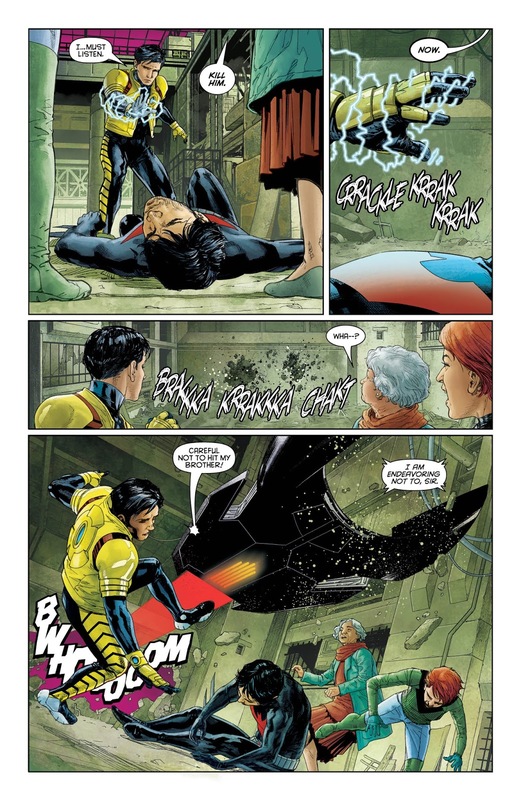 There are several good character moments between Terry, Matt, and Tim and there is an excellent portrayal of Tim cracking under the pressure of the past events, but there is a distinct lack of the usual Batman POW BANG, leaving the climax feeling somewhat climax-less. What this issue does is nicely tie everything up in a little bow. Spellbinder is revealed and defeated, Terry returns to his rightful place as Batman, and Tim leaves to explore the new timeline he finds himself in. Everything has been righted in the world, at least for the time being. 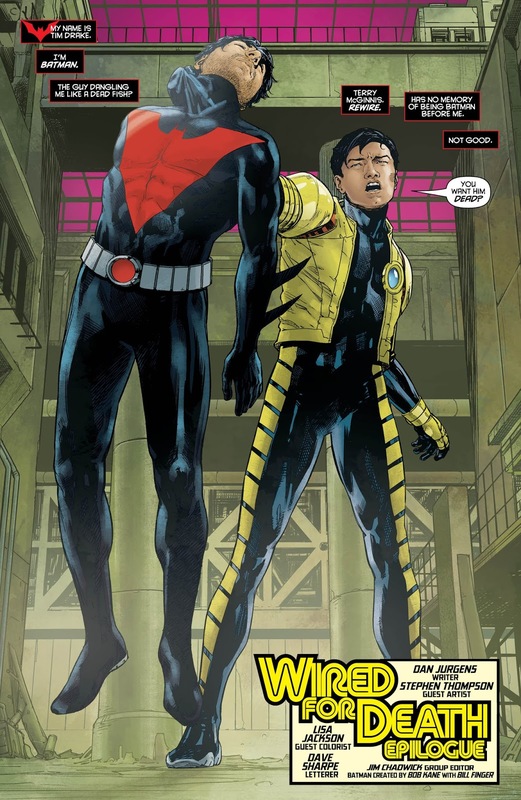 An after-story epilogue also hints that there’s more to come—that Tim’s story is not over—though at this point it’s unclear where he is going or if it will tie back into Terry’s story or not. The Verdict: Some people will enjoy this conclusion, some will think it’s more meh. 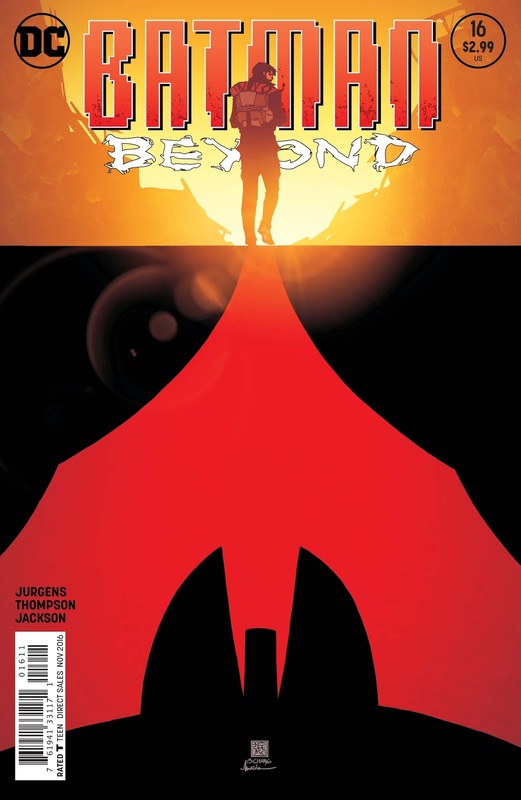 What’s most important is that this is an ending, with a lead in to the new Rebirth series of Batman Beyond to come.